As financial advisors, we make a point of keeping current with issues that pertain to the financial health of our clients: you, your business, and your family. 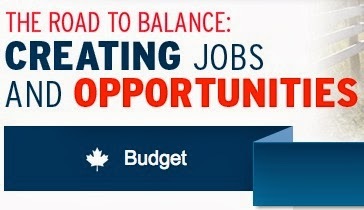 On February 11, Finance Minister Jim Flaherty delivered his federal budget for 2014. Amidst the many points discussed, from increased cigarette taxes to capping domestic wireless roaming costs to increasing funding for recreational trails, it can be difficult to see through all the details and find what is most likely to affect you as an individual investor and/or business owner. To help simplify, we have prepared an overview of budget highlights that may affect your financial plan. No longer entitled to graduated tax bracket treatment. This is relevant to those of you who have set up trusts (for your children, for example) as the net impact will mean more taxes taken off the amounts. This may make you want to revisit the gross amounts you are leaving in the trust(s). Greater flexibility for tax reduction when making donations through wills and estates. This is positive news for those of you who are making charitable giving a part of your future financial plan, as the net (after-tax) amount you will end up giving can be higher. Amount for adoption expense tax credit increased to $15,000. New Canadians will no longer be able to set up these tax-friendly tools. No need to apply; CRA will make the calculations and inform those eligible. This is great news as it's always a positive when the administrative load on the individual gets lighter. Fewer restrictions for RRSP contributions. Extension to include cost of preparing a treatment plan. If you would like to discuss these budget initiatives and how they may affect your existing financial plan, please don’t hesitate to contact us at Continuum II Inc. New clients are always welcome, so even if we haven't met yet, feel free to give us a call.